Take advantage of our unbeatable range of business cards. 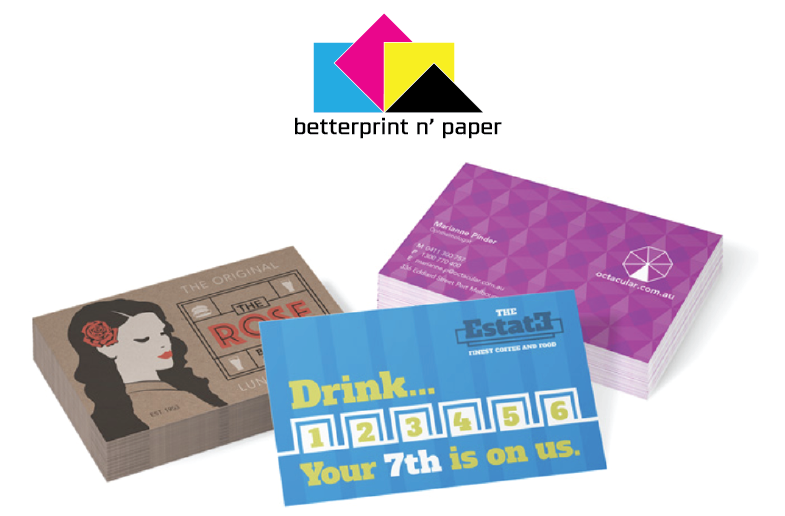 There are countless reasons to print your business cards with Betterprint n’ Paper. We don’t charge you extra for a custom size business card. Match your stationery, with stocks available in multiple board and paper weights. Choose from standard and specialty stocks. Add finishing options, such as laminate, 2D Super Gloss UV and round cornering. FREE ADVICE, call, email or text (0418 995 037) for a chat now. If Custom Artwork Required – Artwork charge $10.00 (inc gst) per side of card.